Pontoon boats (shown here) are one of the categories in the inaugural Minneapolis Innovation Awards during the Minneapolis Boat Show, which is being held at the Minneapolis Convention Center. 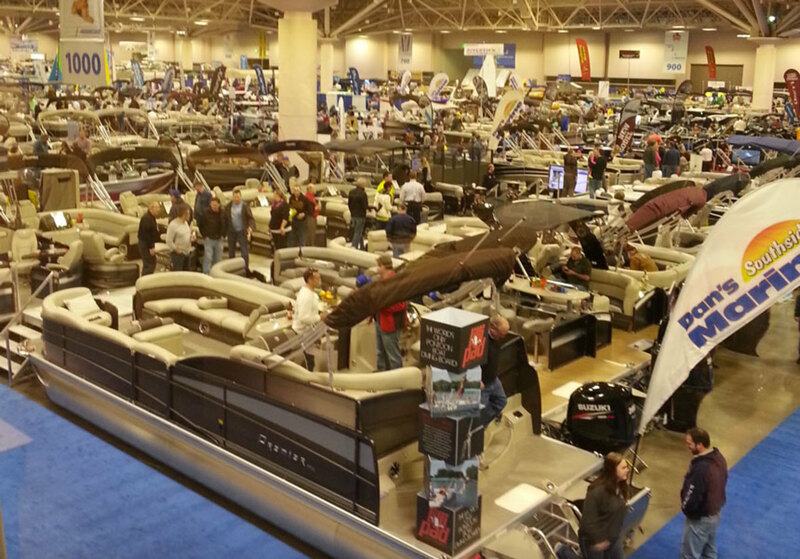 The Progressive Minneapolis Boat Show, which starts today and runs through Sunday at the Minneapolis Convention Center, will feature more than 700 new boats, marine accessories and several seminars and events. New this year, visitors can taste Minnesota white and red wines at the Lakeshore Lifestyle Experience. Music will be provided by Joey Flip. The Progressive Boat Club, also new this year, gives show-goers an opportunity to take hands-on boating courses with mariners from the Annapolis School of Seamanship. The interactive space also offers Progressive’s new Oculus Rift virtual reality, which puts visitors at the helm of a virtual boat race. The inaugural Minneapolis Innovation Awards will be presented at the show. Boat Writers International will honor the top pontoon boats, and aluminum and fiberglass freshwater fishing boats. Winners will be announced at 6 p.m. Thursday at the Lakeshore Lifestyle Experience. The Antique and Classic Boat Display, presented by the Bob Speltz Land-O-Lakes chapter of the Antique and Classic Boat Society, will return this year with boats that include Surprise, a 30-foot 1927 Hutchinson Launch built in New York state. Merrill Lynch founder Charles Merrill owned the boat. Fred’s Shed Interactive Learning Center will be offered for DIY boat owners.